I tried pretty hard to like this movie, as I really wanted to see one of my favorite characters from TV (Ted Mosby from How I Met Your Mother) succeed as another character on the big screen, but it fell flat. 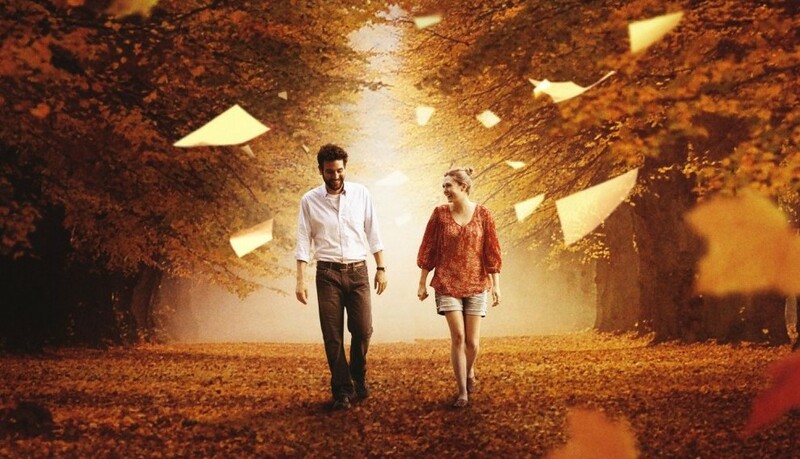 The intention of the film is beautiful, but the communication is slow and lacks oomph. For being only Radnor’s second attempt at writing and directing a feature film, I like where his head is at. But I don’t think Liberal Arts packed quite the punch he had intended. When 35 year old college admissions counselor Jesse’s (Radnor) old professor (Richard Jenkins) from an Ohio university decides to retire, he heads back to relive some of the greatest years of his life. Although only in town for a few days, Jesse meets sprightly college sophomore Zibby (Elizabeth Olsen) who shares his passion for literature. Once Jesse returns back to his day job in New York City, he and Zibby maintain pen-pal’s, discussing classical music and writing. After Jesse decides to return to see Zibby again, he must decide what kind of relationship he will have with the 16 year younger student. The two experience varying levels of self discovery through their time together at a liberal arts university. This movie really shined with it’s poetic and often lyrical juxtaposition of sentences. With a film so heavily based on literature, it’s nice to see some of that great writing reflected in what the characters say. In the scene where Jesse and Zibby are writing letters back and forth, Radnor shows what an eloquent screenplay writer he is. From the description of classical music to how living life can make you feel, there is definitely not a lack of words that transcend into emotions. He’s not even listed as one of the main actors in the film, even though his part is equally important as the other small characters, but Zac Efron is randomly in this film. And to my surprise he’s one of the best parts. Zac plays free spirited hippie Nat, who befriends Jesse when he’s roaming the campus at night. Nat is full of wise things to say, and most importantly, reminds Jesse that everything is going to be okay. Although he’s only in a few brief scenes, it is Nat’s genuine nature that resonates with Jesse and provides some of the most meaningful dialogue in the film. John Magaro plays the depressed and awkward loner student Dean. Jesse sees him reading one of his favorite thousand page novels and is impressed that such a young mind would consider tackling the lengthy book. Dean expresses that he’s not particularly having the time of his life in college, which is unlike Jesse’s own experience with higher education. Magaro is only featured in a few serendipitous scenes but his portrayal of the lost young soul who doesn’t quite fit in anywhere is spot on, and he really adds to some of the somber moments in the film. Be sure to look out for him in the upcoming film about a band in the 60′s, Not Fade Away. The main problem with the film was that nothing was happening. Even now that I’ve seen it in it’s entirety, I still feel like I was waiting for something to resolve. There were a lot of slow moments, from Jesse’s road trip to Ohio to his conversations with his old professor, the scenes were drawn out and stagnant. By about halfway through the movie I wasn’t sure what the general conflict was supposed to be, it sort of seemed like it wasn’t about anything. In general, the pace of the movie didn’t match up to it’s ambitious plot, and it was a bit of a snooze fest. This movie was just blah – it wasn’t bad but it was only okay, which for me is not a good thing. There’s a small amount of beautiful moments to save the film from being a complete failure, but they are far and few between. The script is very nicely written, and the smaller characters are also well developed even though they are on screen for a short time. 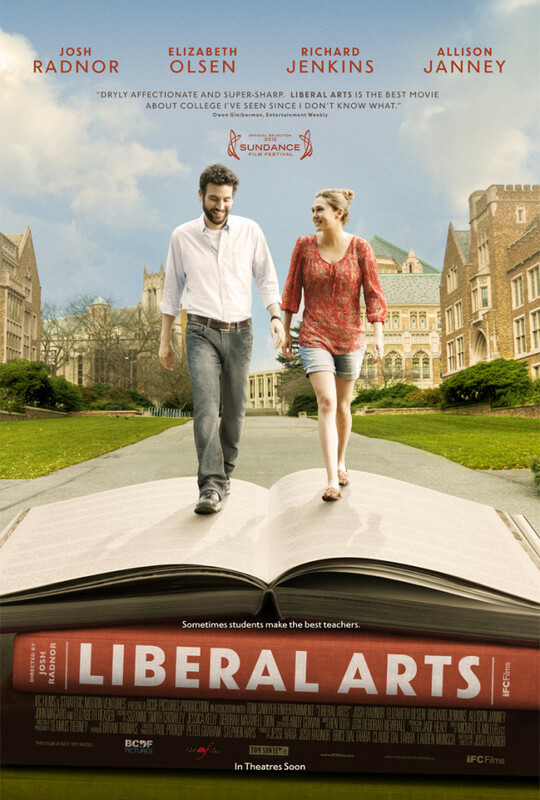 Overall, I think Josh Radnor bit off more than he could chew, and Liberal Arts wasn’t the melodramatic saga it could’ve been. This film just isn’t for everybody, and for the common movie goer I’d say you can pass. But if you’re just really into romance, not necessarily between two people but the essence of it in general, then you can probably tolerate the film because it does have some beautifully put together words. If you watched this because you really like Ted Mosby on How I Met Your Mother, you’ll be disappointed that Radnor has all of Mosby’s hopeless romance with none of his goofy quirk. It’s listed as a comedy-drama but there’s really a lack of both, and I’m not sure the intended audience.